Rents continue their rapid rise in Toronto-area condominium leases in the second quarter of 2018, according to new data from analysts at Urbanation Inc.
Urbanation calculates that for an average-sized condo apartment (732 square feet), the monthly rent for new leases signed this spring hit $2,302, an increase of 11.2 per cent over similar leases signed in the same period in 2017. And there’s no signs of the trend slowing down: “The $231 average increase over the past year was the largest ever recorded by Urbanation, with rents having risen by $367 in two years,” the company said in a release. The rising prices are a reflection of vacancy rates hovering around the 1 per cent mark across the region. “Current rental supply has fallen to a critically low level. Demand has been pouring into the market,” said Shaun Hildebrand, president of Urbanation. Condos are not the majority of Toronto’s rental market mix, but are a key component and appear to be a leading indicator in the region’s affordability challenges: Urbanation data for 2017 showed the Greater Toronto Area has more than 384,000 condo apartments, of which 32 per cent (125,801) were rented out. 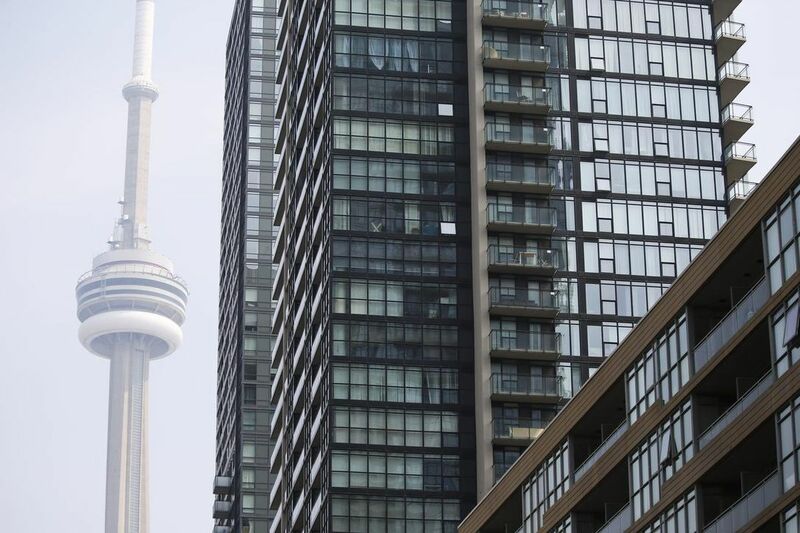 Given Canada Mortgage and Housing Corp.’s total rental apartment figure for the GTA is 311,596, condos represent more than a third of the region’s rental stock. Urbanation data come from leases tracked through the real estate industry’s Multiple Listing Service (MLS), which has become an increasingly important tool for renters hoping to find housing, but they do not capture all the leasing trends in the region. Even though rents are up in the MLS data set, the number of leases signed fell to 7,754, slipping 8 per cent from the previous year, a trend that now extends through three quarters. The first quarter of 2018 saw the lowest number of MLS leases since 2015, just 5,302 agreements down 12 per cent from 2017. There are several potential causes for the slowdown, including a markedly slow rate of new construction condos being delivered to the market. Just 3,264 condo units were registered in the region in the second quarter, down 28 per cent from the previous year. Also, in the 12 months ending in the second quarter, the turnover rate for existing renters fell sharply (only 7.8 per cent of rented units were rerented through MLS) and there were signs that fewer of the new units delivered to the market were turned over to renters: the 25,955 lease transactions for condos is the lowest 12-month total in three years.